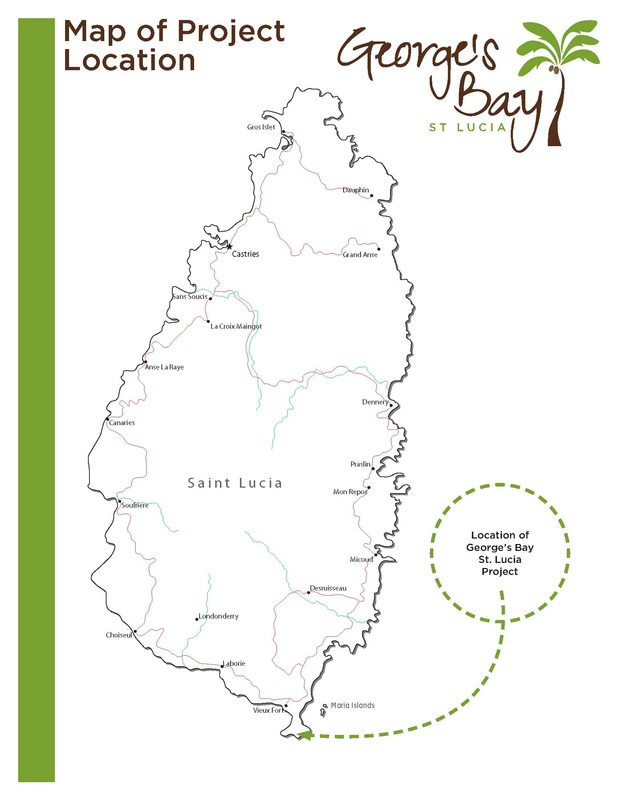 GBSL: Location | RMP Construction & Development Ltd.
George’s Bay is on one of the most unique sites imaginable. Just minutes from the International Airport, this quiet peninsula juts out from the island to split the Caribbean Sea from the Atlantic Ocean. All the conveniences you need can be found in Vieux-Fort and the entire island is at your doorstep.